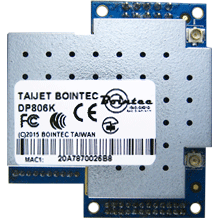 Bointec DP808K module operates in 2.4GHz ISM frequency band with low power consumption. It applies a highly integrated MAC/BBP in the MT7681 chipset, support IEEE 802.11 b/g/n standards based on 1T1R technology (SISO). DP808K is truly cost-effective WiFi solutions in order to meet the Internet of Things (IoT), smart city applications and smart home/automobile appliances. 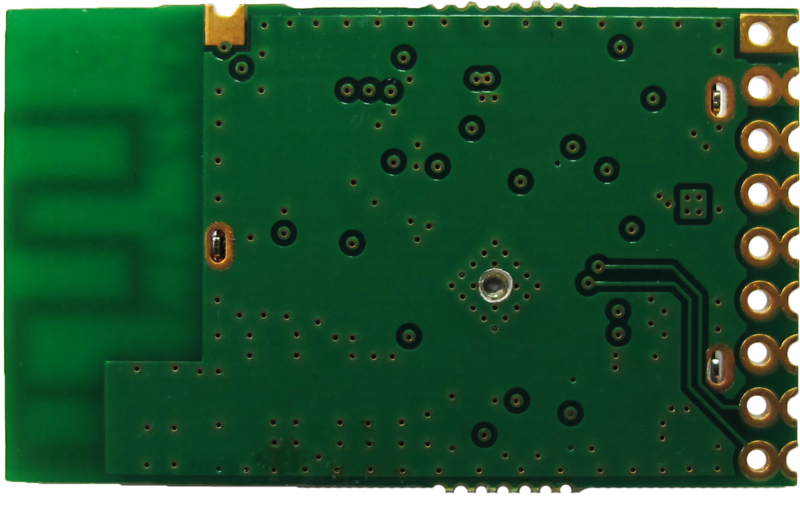 Considering the cost and power consumption characteristic, DP808K will provide the great wireless connection and reliable solution.The single side components mounted module provides 1 UART interface and 4 GPIO ports. Regarding the antenna, DP808K provides the optional on-board or external antenna.Moreover, DP808K is not only easy to use but also supports various protocols such as TCP/IP and UDP. 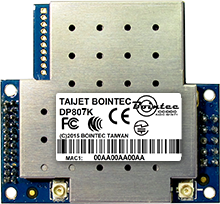 It is truly convenient for our clients to use a serial AT commands engineered by Bointec in order to connect the WiFi and control behaviors easily.Besides, Bointec has developed the comprehensive developing kit including the evaluation board for DP808K.Thus, it is truly advantage for the users to survey and build in their requirement so as to add additional value in client's product line and make it time to market.